This Belgrade group was named after its founder, the keyboard player Kornelije Kovac. For a short time he was a member of Indexi, but formed his own group in 1968. In their early years only singles and EPs were recorded, some of which later resurfaced on the posthumous Mrtvo More. After two years of inactivity, Kovac started a new Korni Grupa formation in 1971. Korni Grupa (1972) represented the first progressive rock album in Yugoslavia and, as such, remains a milestone. Its five tracks were dominated by Kovic's piano and the distinctive voice of Zlatko Pejakovic (who would eventually become a pop singer). The real highlight was the three-part composition "Put Za Istok". Not An Ordinary Life (1974) was recorded in Italy with better sound equipment and more careful production. 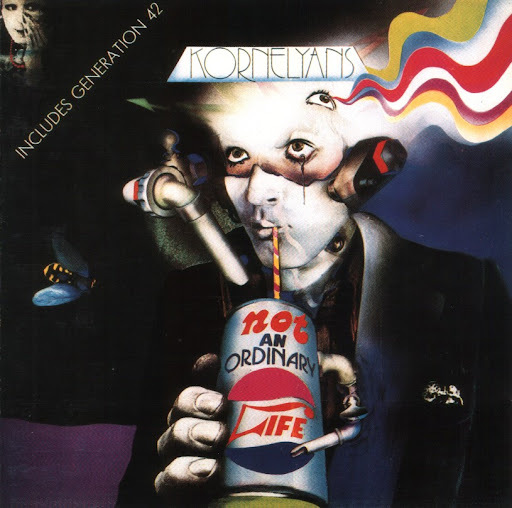 The material ranged from the complex jazzy progressive rock of the title track to the sentimental (but memorable} ballad "Generation 1942". "Fall Off The Land Of Woman" was a re-recording of "Bezglave Ja-Ha Horde" from their first album. This is one of the best Yugoslavian rock albums ever made, really a great achievement. The Italian edition had English lyrics, unlike the domestic release. Regretably Korni Grupa disbanded in 1974, leaving behind them almost 20 singles and EPs. The double album Mrtvo More (1975) collected the worst of them (ie: the most commercial tracks), but also two sides of excellent live material recorded in 1974. Some years after, a more interesting postscript appeared. 1941 was a concept album recorded in 1971 for a Belgrade TV station, but not released until 1979. There was no track separation on the Album, just a continous flow of vocal and instrumental segments. The lyrics were written by Branko Copic, while the music, as usual, was written and arranged by Kovac. Featured vocalists were Dado Topic and Josipa Lisac. The album is quite "Italian" in spirit, but usually considered to be weaker than Korni Grupa's two first albums.